Long Island is simply put, the largest and longest island in the contiguous United States, projecting eastward from Manhattan Island in the Atlantic Ocean. A plurality of the residents in New York State live in Long Island, with close to a population of eight million people that call Long Island their home. 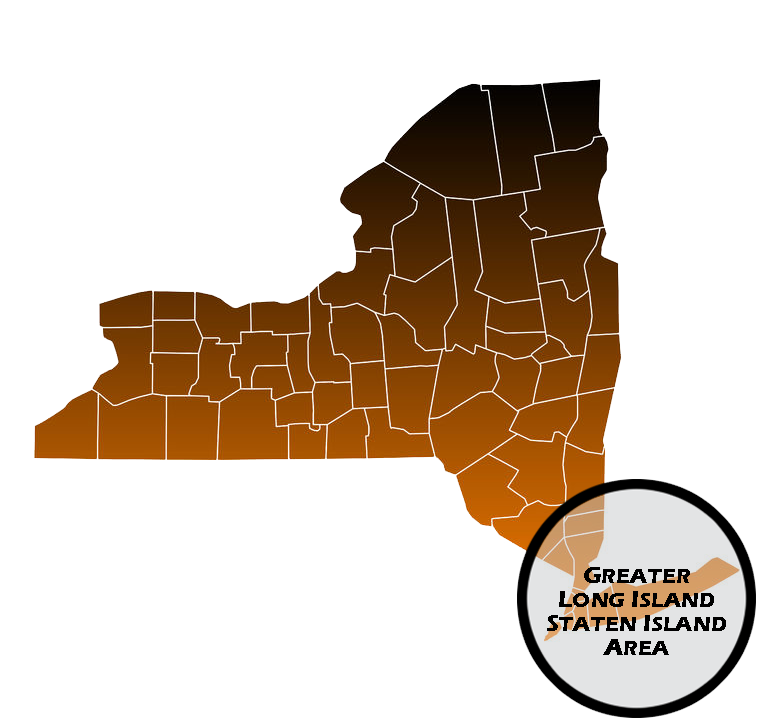 Split into Nassau and Suffolk counties to the east and west and the North and South Shore, Long Island is the 18th most populated island in the world and features both very wealthy neighborhoods and working-class neighborhoods. Long Island is home to both of New York City’s major airports, JFK International and LaGuardia. The Long Island Railroad is the busiest commuter railroad in America. Many Long Island residents drive in order to get around the Island and to the five boroughs of New York City. Highways they may take advantage of include the Long Island Expressway (LIE), Northern State Parkway, Southern State Parkway, Nassau Expressway, Sunrise Highway, Brooklyn-Queens Expressway, Cross Island Parkway and Nassau Turnpike. If you drive in Long Island, having the best and lowest cost car insurance is a must. Capital Gate Insurance Group agent can find you insurance in Long Island for your auto insurance needs. We frequently find Staten Island auto insurance policies for residents of that New York borough as well. Long Island is famous for its beautiful beaches and charming atmosphere, and there are plenty of opportunities for cycling and hiking. A number of residents also enjoy keeping boats out in the Long Island Sound for sailing or yachting. If you own a boat, you’ll need Long Island boat insurance. Fortunately, our network of insurance companies that offer coverage in Long Island makes it easy for Capital Gate Insurance to find you an affordable boat policy. Ask us about Staten Island boat insurance policies, too. Some of the most beautiful homes in the world are located on Long Island, and in fact, parts of Long Island are largely considered truly to be a suburban paradise. You can find great schools, terrific restaurants and wonderful neighborhoods in Long Island. Of course, you’ll want to have the right homeowner’s insurance in Long Island to protect your beautiful home. We’ll find you a Long Island home insurance policy that has everything you are looking for while still fitting your budget. I mean after all…, who doesn’t want to save money! Contact Capital Gate Insurance today. Naturally, we can also help you with all of your insurance needs including finding the ideal policy for your Staten Island home as well. The Long Island economy is driven in large part by scientific research and engineering. The Cold Spring Harbor Laboratory is one of the most famous research laboratories in the world, and scientists continue to conduct very important research continuously in Long Island, which features the Hauppauge Industrial Park, the largest industrial park on the East Coast. Other fertile areas of growth, and not just our soil, include the computer industry as well as fertile agriculture. There’s plenty of room for your business in Long Island, no pun intended…, which is why we offer affordable commercial insurance for Long Island businesses. Contact us today for your Staten Island or Long Island business insurance quote to cut expenses and save money on your insurance today!